Presentation Valencia Marathon. 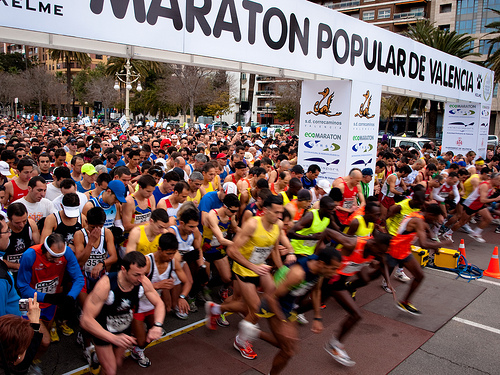 Run in the Best and Fastest marathon in Spain! 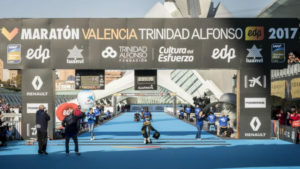 The Valencia Trinidad Alfonso EDP Marathon is held in Valencia on a completely flat circuit. The temperature in November averages between 12-17 degrees Celsius (54-63 Fahrenheit), makes the city the ideal setting for the race. 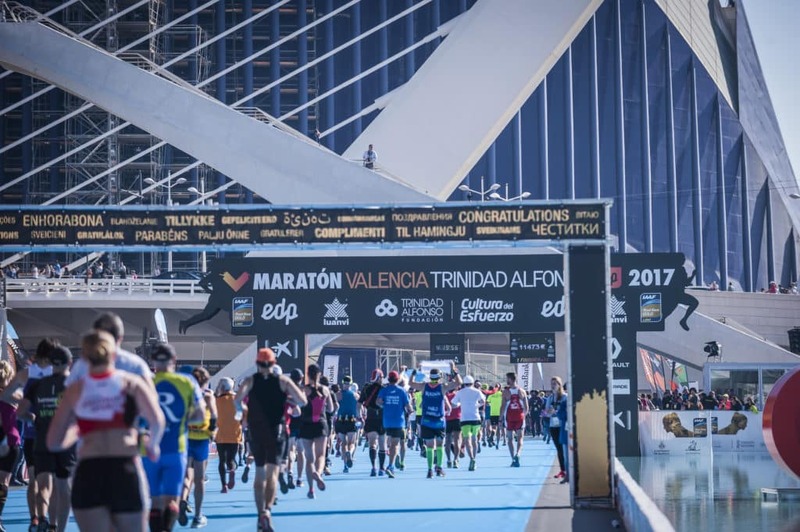 The city’s incomparable setting makes the Valencia-Trinidad Alfonso EDP Marathon one of the most important events in Spain’s sporting calendar. 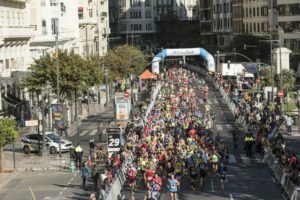 The 2018 Marathon broke all the records, with the best ever time on Spanish soil. 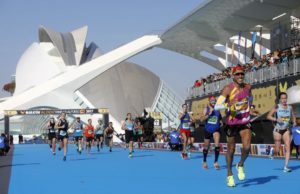 The all-time race record was set in the 2018 edition, in which Leul Gebrsilase ran the marathon in just 2h04:31. 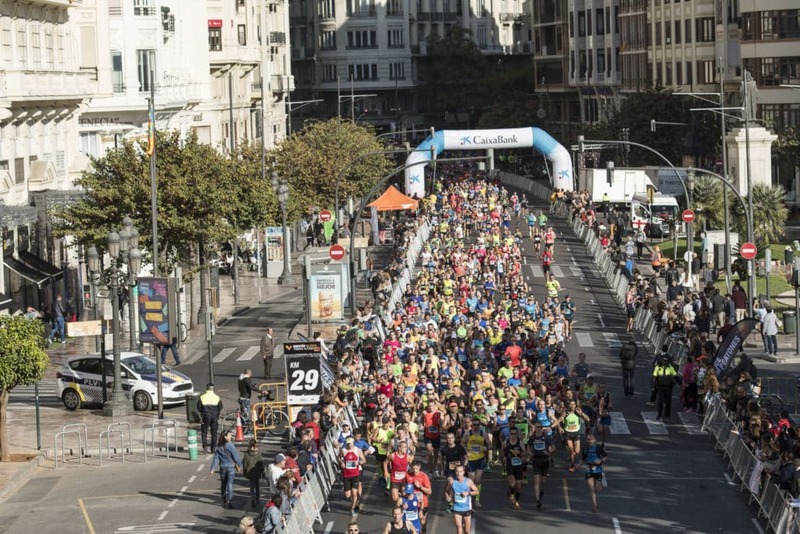 It was the fastest marathon run in Spain for both men and women, with Ashete Dido running the race in a sizzling time of 2:21:14. The number of runners in the race rises with each passing year. 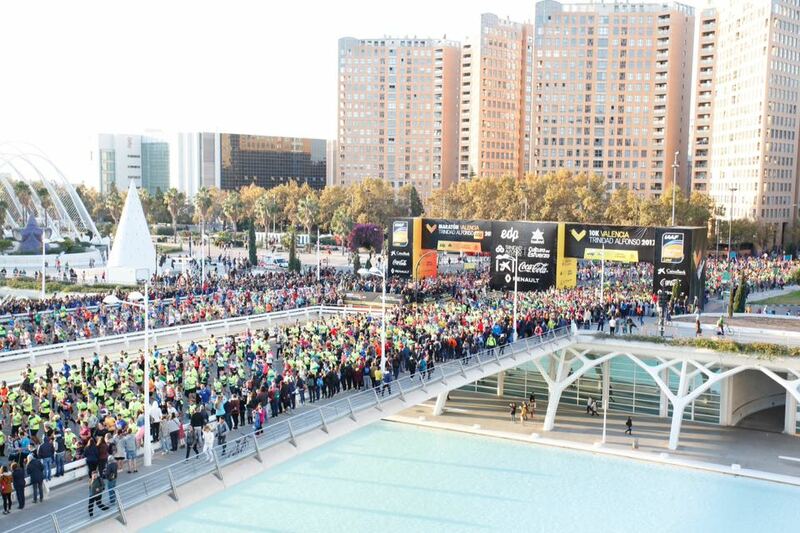 This time round, there were over 22,000 competitors, of whom some 19,500 reached the Finishing Line. We look forward to seeing you at the next Marathon on the 1st of December. The Trinidad Alfonso EDP Valencia Marathon was awarded the IAAF Road Race Gold Label in 2016, which proves that it is one of the best 42,195-metre races in the world. 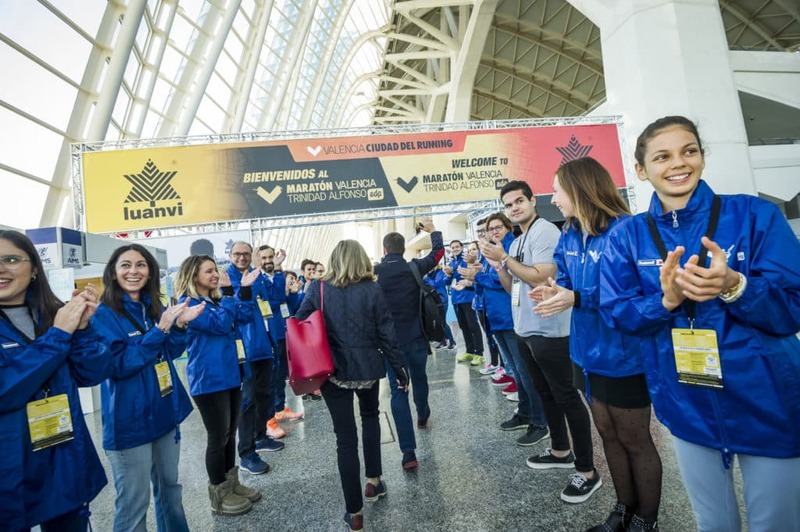 It is the first Spanish Marathon to get the IAFF Gold Label. 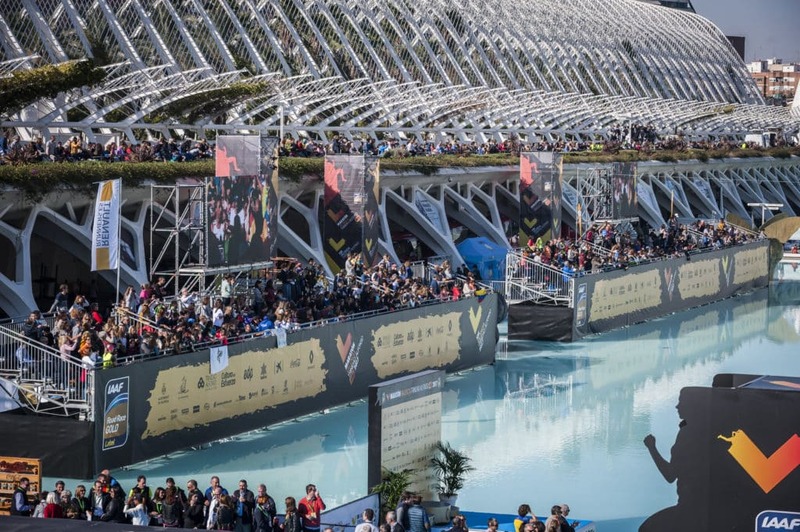 Valencia’s stunning City of Arts and Sciences will be the nerve centre for this huge sporting event. 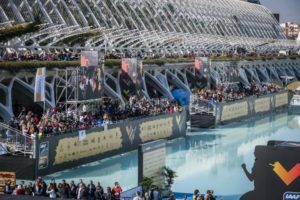 Both the Start and Finish, and the activities running in parallel with the event will be sited in this singular, 21st-Century ‘Science City’, with its futuristic architecture. 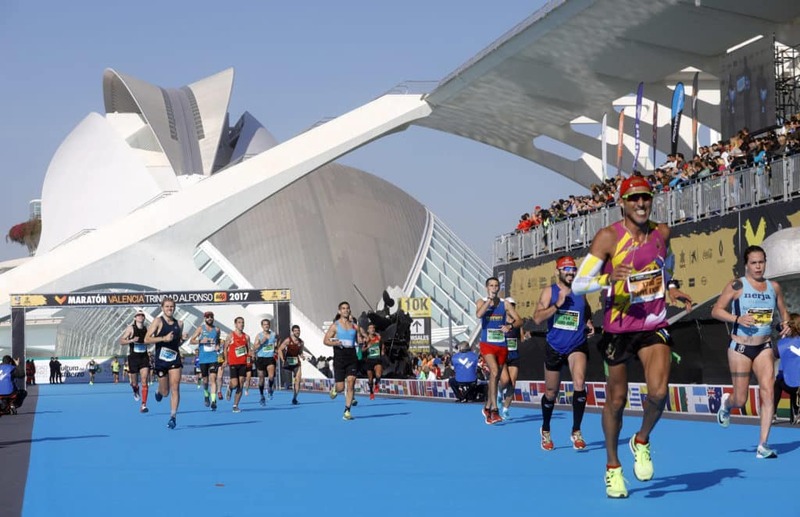 Beat your time as you pass over the shimmering blue pools of the Prince Philip Science Museum, spirited over the water by a boardwalk that is over 150 metres long and 10 metres wide — making it one of the most spectacular finishes to any Marathon. 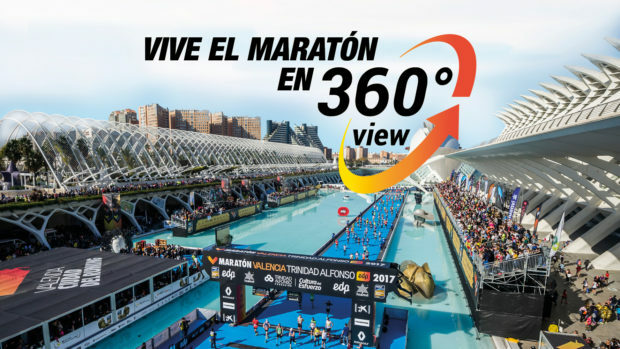 The birth of Valencia’s Marathon happened about the same time and for much the same reasons as elsewhere in the world. 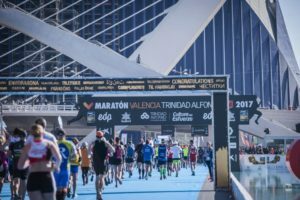 Curiously enough, the Valencia Marathon sprang to life on the very same day as the London Marathon: the 29th of March 1981. There were few city marathons before this date and many after, with the number of such events waxing over the years. Over these three decades, the circuits have changed, as have the nationalities of the athletics winning the race. 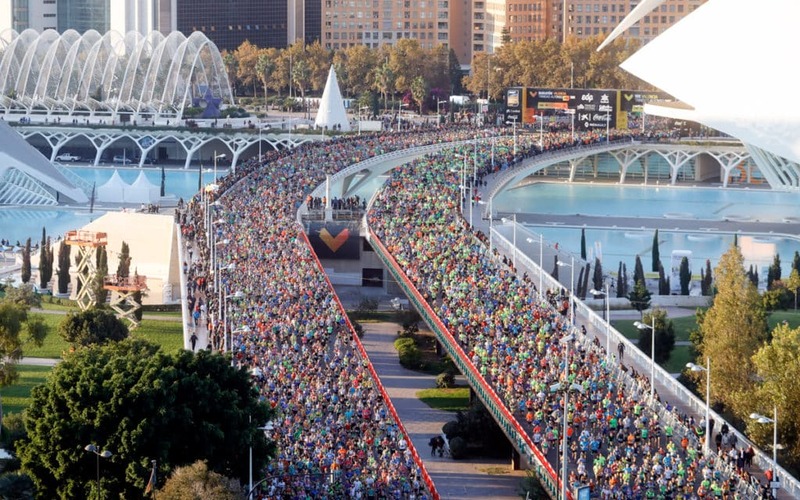 Albereda de València [a partially tree-line avenue flanking what was formerly the north bank of the River Túria] was the site of the Marathon’s thirtieth edition. The Marathon circuits have changed in the quest for the perfect itinerary. Technical improvements have been made along the way and an effort made to give spectators a good view of the runners. The winners have come from many nations but the public’s memory is selective and Vicente Antón and Elisenda Pucurull have stuck in the hearts and minds of amateurs. 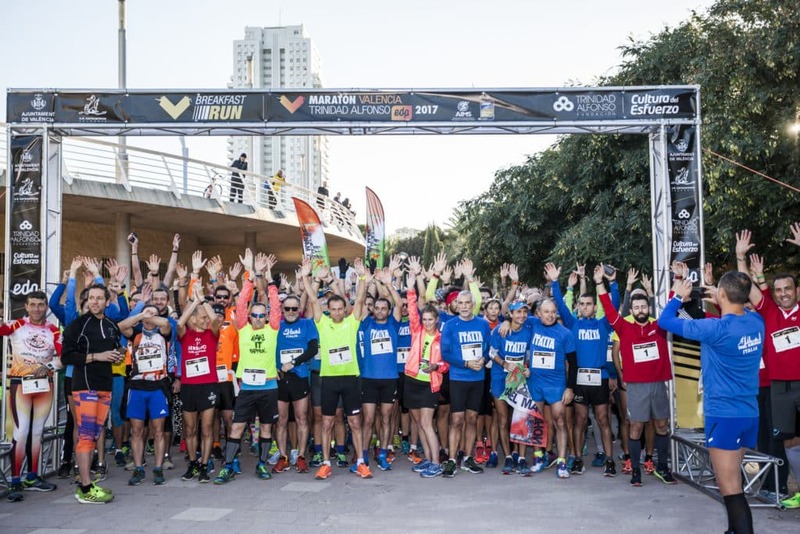 The 31st edition marked the birth of a new Valencia Marathon. It posed a Hamlet-like dilemma for the organisers — Correcaminos SD [Running Club]: whether to continue running a second-league marathons or to ‘take up arms against a sea of troubles’ and accept Valencia City Council’s offer to partner a top-rate race. Correcaminos SD took up the gauntlet and we must all do our utmost to make sure that the new Marathon is a runaway success.